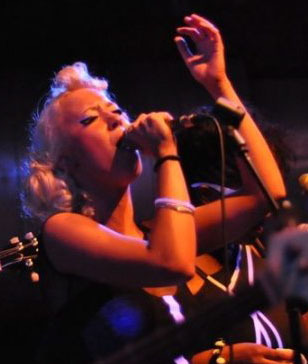 Katherine started out by gigging original material in her hometown, where she quickly received interest from an independent label. By the age of 16 she had recorded her first EP and toured the UK. On leaving school, she moved to London and attended the Institute of Contemporary Music Performance, where she obtained a First Class Honours Degree in Music & Music Performance. During her studies, Katherine began to focus her attention on the Dance genre, performing alongside DJs such as Roger Sanchez, and she soon had her first featured release with Deep Red Records. Meanwhile, she began performing original material at top UK venues and further afield, including Ministry of Sound, Shepherds Bush Empire and Ibiza superclub Space. Now settled in London, she is busy collaborating with many artists, composing her own material and teaching vocal students at The Rhythm Studio.